Noah Gins grew up in the United States playing at the highest level as a youth player. He represented the USA on many occasions and was an All-American going into College. He played Division I soccer for UNLV & University of New Mexico and quickly went from college soccer into the professional ranks for over 7 years. The San Diego Flash, San Diego’s professional outdoor team from 1998-2003 brought Noah to San Diego and signed him to a professional contract for 4 years allowing him to plant his roots here in San Diego. 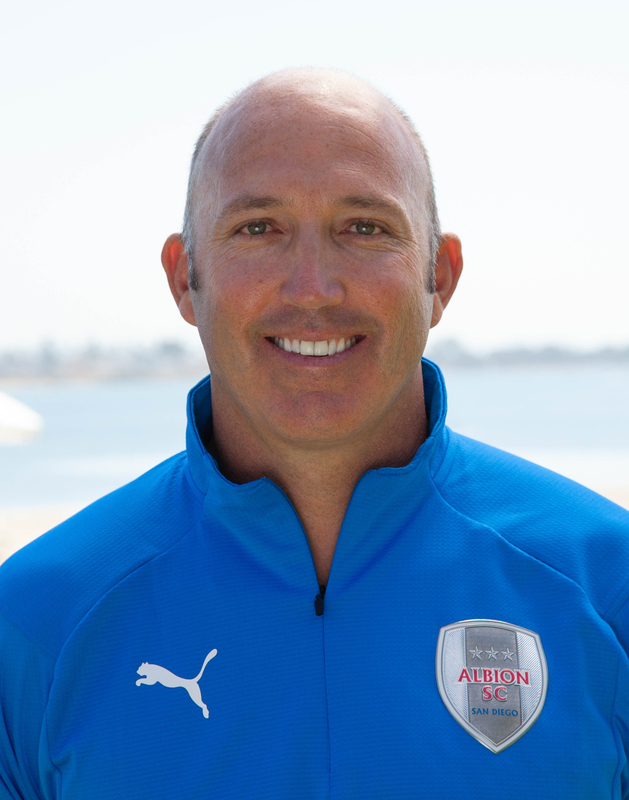 While playing for the San Diego Flash, Noah Gins took over the Albion Soccer Club of 6 teams and transformed it into a Southern California and National powerhouse of over 120 first class teams and a Premier Nationally recognized club in San Diego, South Bay, Orange County, Las Vegas and South Florida. Albion SC today is recognized around the State, Region, and USA as one of the top youth competitive Clubs having won 10 Regional Championships and been in 11 National Championship games. Including,the development of over 10 US National Team players and several professional players including Ariel Lassiter who is now a member of the MLS LA Galaxy First Team. In 2010, Noah Gins was named the Cal South "Coach of the Year", while the club was honored by the NSCAA as a top club in the US. In 2011, Albion SC was named to the top 30 clubs in the US by Soccer America. In 2013, Albion SC was invited into the US Development Academy recongizing Albion SC as one of the top performing clubs in the US. In 2014, Albion was invited to have an Official Partnership with Arsenal FC in London to develop talent to Arsenal. In 2015, ALBION PROS was launched to develop talent to the professional level and sit atop the the powerful Albion SC youth model providing a professional pathway. In 2016, Albion SC was awarded full US Development Academy Status on the Boys and Girls program. Noah Gins obtained his National B License in 2001 and his National A License in 2018 and is the Executive Director of Pro Select Soccer, a National youth training program to develop the best players in the country and showcase them Nationally and Internationally as well as manage top talent. With his vision, leadership, and model/curriculum for developing players Gins has set a high standard while overseeing Albion SC and has pushed the club to the top of youth soccer in the USA and truly the model club.